Comments Off on Bruins pick up first win in Exhibition Play! Bruins pick up first win in Exhibition Play! 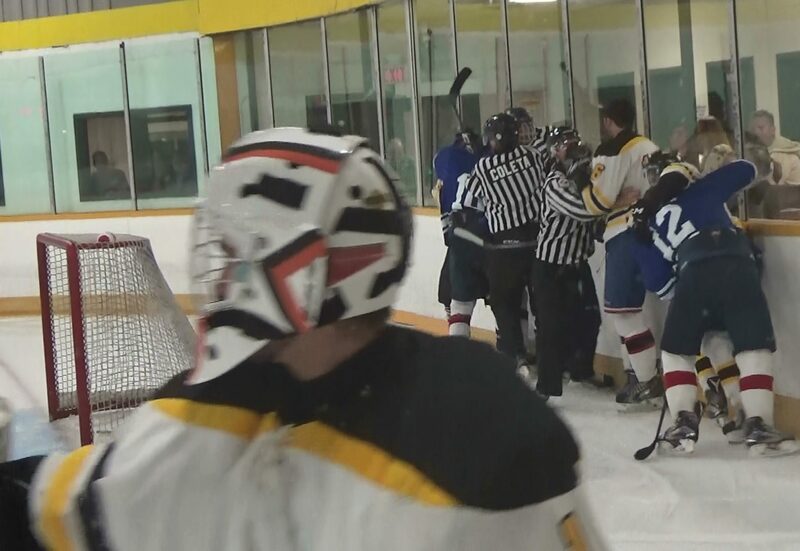 (Photo: Uxbridge Bruins) Bruins Goalie Antonio Villa glances back at a scrum after being knocked over by an Ice player. Comments Off on Bruins Rookies downed by Stayner! Bruins Rookies downed by Stayner! Uxbridge lost their first exhibition game of the season by a score of 3-1 tonight, despite the many great saves by goaltender Matt Morley. 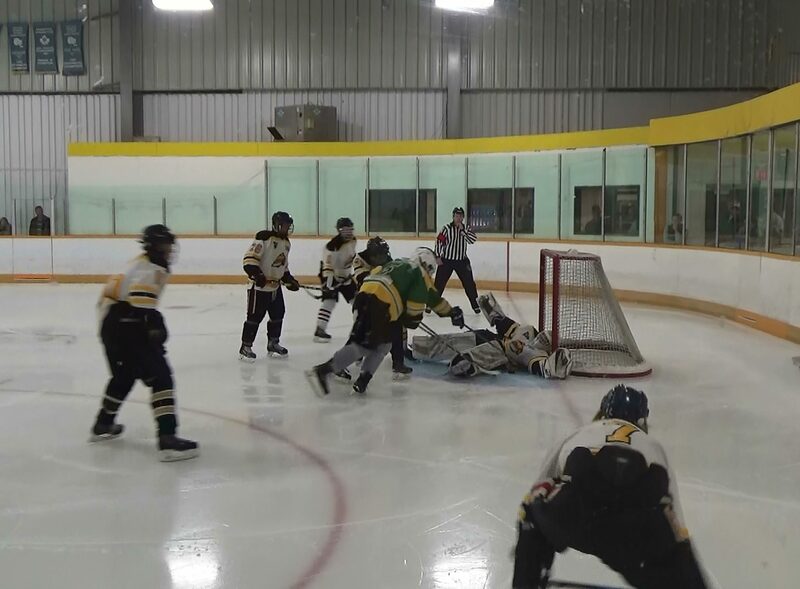 After falling behind 3-0 in the second veteran Damien Heinle got the Bruins on the board but there was no scoring in the third as the game ended 3-1 Stayner. Note that the game in Stayner on Sat Aug.19th has been cancelled.